I Have An Etsy Store Too! 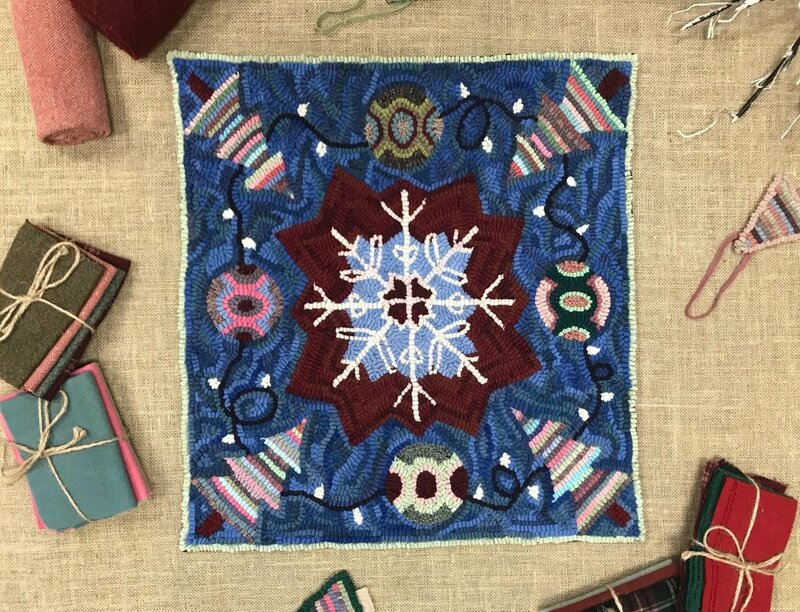 It was Christmas in July in my studio over the summer as I worked really hard to get this project completed for Melanie Pinney of Wool Works magazine! I asked Melanie if I could contribute to her new and fabulous magazine last Spring and she said yes! The only challenge was that it had to be a completely NEW project that hadn't ever been advertised before. 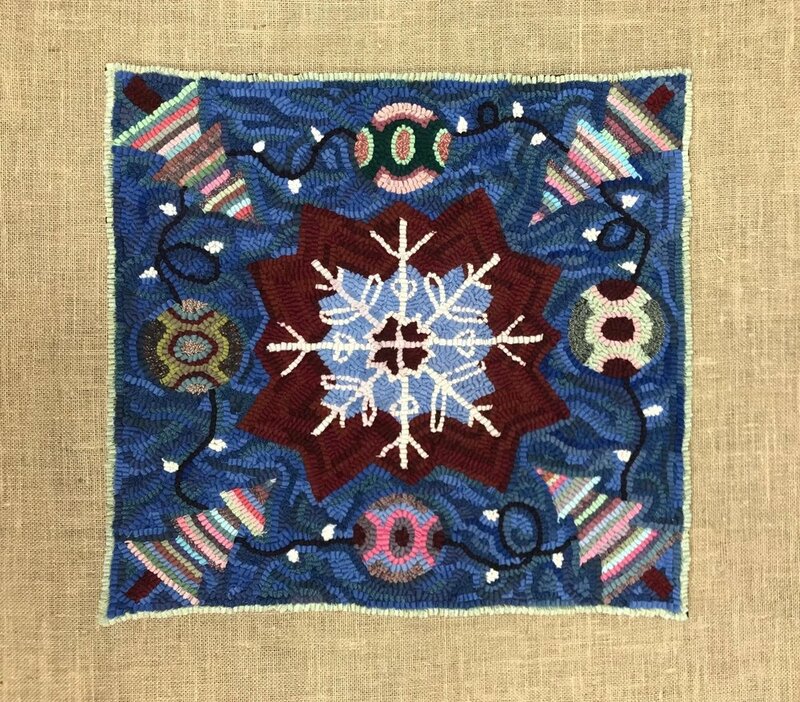 I decided on this 23 by 24 inch table mat called "The Colors of Winter." 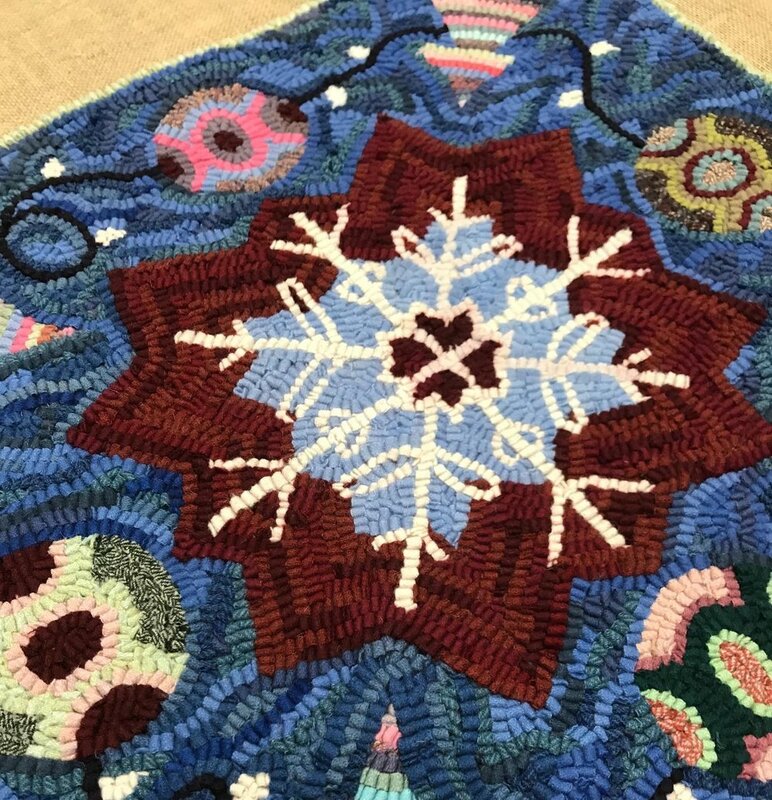 I wanted the rug to have a Christmas/Winter theme with non-traditional holiday colors, meaning it could be enjoyed all winter long. It was also my first time at making a digital paper pattern - I learned so much in making this article and Melanie was so helpful! I was also offered an advertisement within her magazine so people know where to find this limited edition kit (right here on loopbyloopstudio.com!). 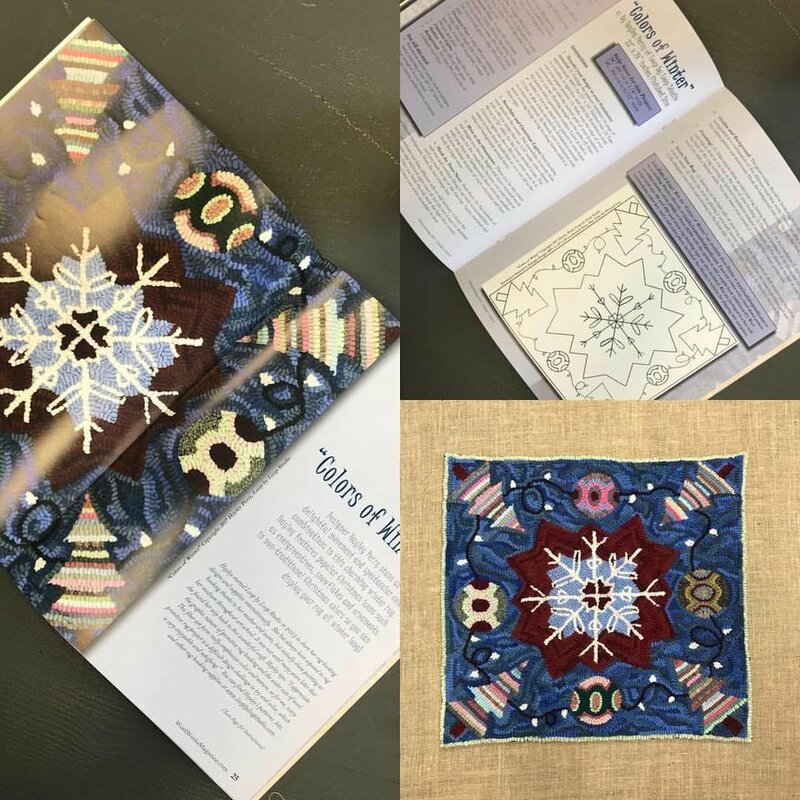 Please check out the one year young Wool Works magazine for an exclusive pattern, instructions, and color key to make my project "Colors of Winter," and browse all the other wonderful, wool-related projects within this issue!